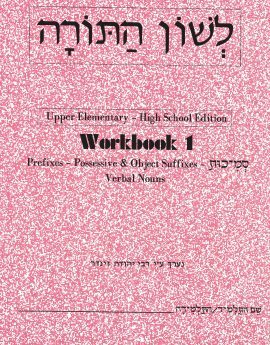 All of the prefixes & suffixes that you will learn in Workbooks ד-א. 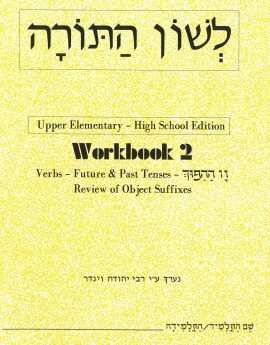 Also contains some nouns & verbs to combine with the prefixes/suffixes. 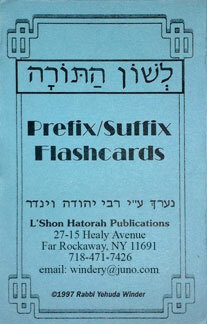 The cards are printed on both sides in an outlined font – one side with the Hebrew prefix/suffix, the other side with its meaning in English. 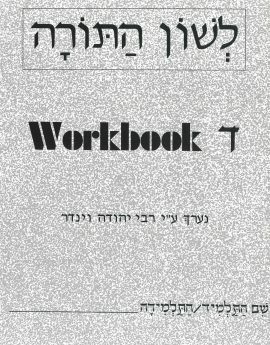 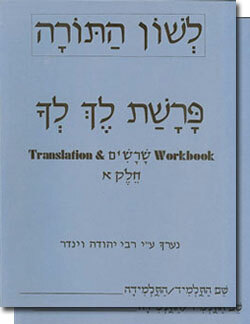 Ideal for creating interactive exercises utilizing what you have learned in Workbooks ד-א.